While it is generally true that in order to get the latest safety and technology features or cutting-edge design, car buyers need to shop the luxury brands, the same principle does not necessarily apply when it comes to vehicle dependability. According to the J.D. Power 2017 U.S. Vehicle Dependability StudySM (VDS), long-term quality isn’t exclusive to luxury brands. The study finds that the 10 top-selling models from the 2014 model year average 134 PP100—significantly lower than the industry average of 156 PP100. Two perennial best-selling models—the Ford F-150 pickup truck and the Toyota Camry sedan—also lead their vehicle segments in the 2017 VDS. Also of note, the study finds that long-term quality is a key factor in contributing to higher residual values for vehicles. The industry average of 156 PP100 is a 4 PP100 increase from 2016—the second consecutive increase in overall PP100. This is largely due to increases in problems in the Audio/Communication/Entertainment/Navigation (ACEN) category, which remains the most problematic area, accounting for 22% of all problems reported—up from 20% last year. For a third consecutive year, the problems most reported by owners are Bluetooth pairing and connectivity and Built-in voice recognition misinterpreting commands. Battery failure is new to the list of the 10 most-reported problems in this year’s study, rising by 44% from the 2016 study. Batteries are the most frequently replaced component not related to normal wear and tear in 3-year-old vehicles, at 6.1%—up 1.3 percentage points from 2016. Of all vehicle makes sold in the United States, the two highest-performing brands in terms of vehicle dependability are Lexus and Porsche, which tie for the lowest PP100 score, with 110. This is the sixth consecutive year of Lexus topping the nameplate rankings in the VDS. Toyota ranks third, with 123 PP100, up from fourth place in 2016, while Buick (126 PP100) and Mercedes-Benz (131 PP100) rank fourth and fifth, respectively. Hyundai, which ranks sixth with 133 PP100, improves by 25 PP100 from 2016—the greatest improvement of any nameplate and the Korean brand’s best showing in the history of the study. Dodge and Ford both improve by 21 PP100 from last year, and Land Rover improves by 20 PP100. Of the 18 segment awards bestowed by the study, Toyota-made nameplates account for 10. These include the Lexus ES, Lexus GS, Lexus RX, Toyota Avalon, Toyota Camry, Toyota FJ Cruiser, Toyota Prius, Toyota Prius V, Toyota Sienna, and Toyota Venza. The Toyota Camry has the lowest PP100 score industry-wide, and no other automaker has captured as many segment awards in one study. General Motors receives four segment awards, for the Chevrolet Camaro, Chevrolet Sonic, Chevrolet Silverado HD, and Chevrolet Tahoe. Other models receiving segment awards in the study include the Ford F-150 and Honda Ridgeline pickup trucks, Mercedes-Benz GLK-Class, and Volkswagen Tiguan. Drill deeper into the study to determine where problems are most likely to be reported. If, for example, communications technology is especially important to you, favor vehicles that show fewer problems in that area. Look for vehicles that have long, consistent records of few problems—but also consider badges that show dramatic improvement from the previous study. The longer you intend to keep your vehicle, the more overall dependability should factor into your purchase decision, along with features, price, performance, and other considerations. The 2017 U.S. 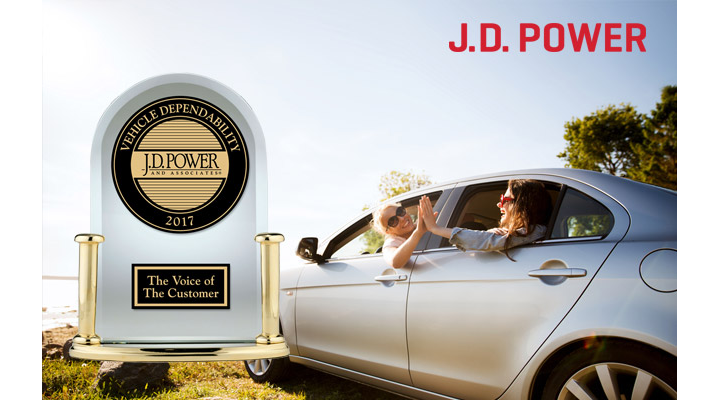 Vehicle Dependability Study is based on responses from 35,186 original owners of vehicles from the 2014 model year, after 3 years of ownership. The study was fielded from October through December 2016.